"This book is an original, a first! I profited from it greatly, and I quote from it in my speeches." "A modern classic. Few books have so quickly and effectively reshaped our dialogue and assumptions about the future of economic development." 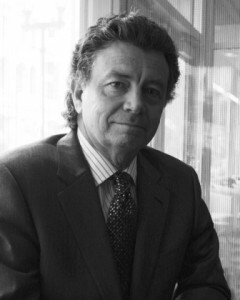 "The most important and valuable business book I have read in many years." "A must-read for businesspeople and policymakers!" "The Restoration Economy is required reading here at Weston Solutions." - Bill Robertson, Chairman, Weston Solutions, & former Associate Chief of Engineers at the U.S. Army Corps of Engineers. "To say your book has been an inspiration to me is an understatement." This is the book that started it all: the first time all of the industries and disciplines that are restoring our natural & built environments were revealed as a single global trend. 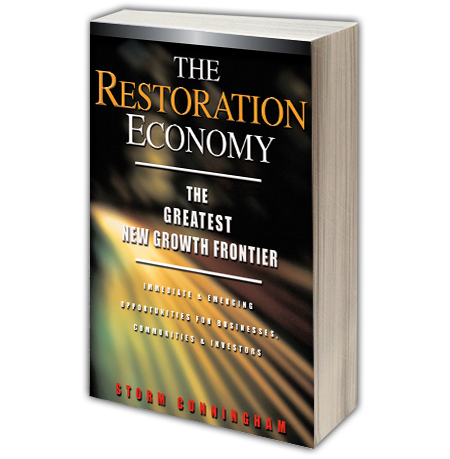 The Restoration Economy is the original book on regenerative growth: the first to document the "hidden", multi-trillion-dollar economic sector that is revitalizing our communities, our nations, and our natural resources. Regenerative growth is also called "restorative development": in it lies the future of our civilization, and our planet. The Restoration Economy describes a huge, fast-growing new growth frontier for entrepreneurs, investors, & organizational leaders, not to mention graduates looking for the most personally fulfilling and financially rewarding career path. The Restoration Economy is recommended reading in hundreds of higher education courses–from public policy, to environment, to business–at universities worldwide, such as the Politecnico di Milano and the Politecnico di Torino (both in Italy). It’s required reading for an increasing number of degrees, such as the Civil Engineering Technology Program at Seneca College in Toronto, Canada.